Barratt London is the market-leading residential developer in the Capital. With over 30 years' experience we’ve helped - literally - shape one of the world’s most exciting, diverse and dynamic cities. We design, build and sell large, complex residential-led developments tailored to the needs of our customers. The Croydon Advertiser reaches over 130,000 potential customers in the Croydon area every week, it is published on Fridays and is packed full of local news, in-depth features, entertainment coverage, property and much more. And it doesn’t stop there. Our readers come back for even more on our website croydonadvertiser.co.uk, for updates on local news all day every day. We keep our audience engaged, so that you can reach your potential customers. PCS Legal are an established firm of Licensed Conveyancers and Probate Practitioners regulated by the Council for Licensed Conveyancers. Our staff are dedicated and highly trained in dealing with all aspects of conveyancing. We are committed to delivering a better customer experience and a level of service not normally associated with legal firms. We invest significantly in the development of new technology platforms in order that we can deliver better communication and increased flexibility. AmicusHorizon own and manage thousands of homes in Croydon. 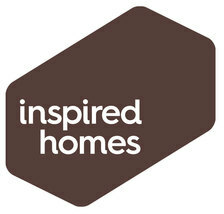 We’ll share our experience and details of our brand new homes and large portfolio of re-sale properties. Croydon’s a fantastic area, offering great value for money and transport links, either into London or the South Coast. We’re looking forward to meeting you and helping you become a home-owner in this exciting borough. First Time Buyer magazine’s Best Law Firm for Conveyancing in 2013, 2014 and 2015 (and shortlisted again in 2016), Beaumont Legal helps thousands of first time buyers get on the property ladder each year. While the firm can trace its history back for 200 years, modern customers are tempted to Beaumont Legal by the ability to follow their case online and via email. Based in Yorkshire, the firm can keep its prices competitive for customers nationwide. Beaumont Legal will be offering visitors to the First Time Buyer Home Show free legal advice and discounts off their conveyancing, which is well worth taking advantage of. L&C is the UK’s largest fee free mortgage broker. Our expert advisers are available over the phone 7 days a week to provide customers with tailored mortgage advice to suit their personal circumstances. Unlike many other brokers, we charge no fee for our advice or arranging a mortgage, saving our customers money, and have access to mortgages from across the market so we can search out the best deal for them. We’ve won over 100 awards for our service, more than any other broker, testament to the excellent level of service and value we provide. 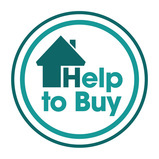 Every year we help thousands of first time buyers arrange a mortgage to take their first step onto the housing ladder. We assist them throughout the mortgage process with no hidden costs or surprises, just straightforward, honest mortgage advice. Mortgage Advice Bureau is an award-winning mortgage broker, with over 750 advisers across the UK. We are an expert mortgage broker that has access to over 80 UK lenders. Lawcomm solicitors was established in 1999 and has offices in London and on the south coast. We offer a nationwide converyancing service and have a dedicated specialist department for new build and affordable housing properties. Our experienced team is widely renouned for providing an efficient and cost effective service whilst maintaining a considerate and understanding approach to the needs of our clients. Working with over 60 Housing Associations across the UK, TMP Sherwins are the number one firm for Mortgages in the affordable sector. Our team of experts are always on hand to guide purchasers from their first enquiry right through to picking up the keys to their new home. We are also proud to offer a unique and unparalleled service to our partners, advising and supporting them to ensure a smooth customer journey. Tailoring our solutions to both purchaser and partner, we are committed to supporting and enhancing the affordable homes market. Hexagon Housing Association is a locally focused and community based organisation working to meet housing and care needs in South East London, managing 4,100 homes mainly across five London boroughs (Bexley, Croydon, Greenwich, Lewisham and Southwark). For over 140 years, we’ve had a simple idea - saving together to help each other buy homes and enjoy other big things in life. An idea that’s just as relevant today as it was then and we continue to put our members at the heart of everything we do. As part of the UK’s largest independent estate agency group, haart customers benefit from both our national coverage and our local knowledge and expertise. We have also made it easier for you to contact us, as our phone lines are open from 8am – 10pm, seven days a week.